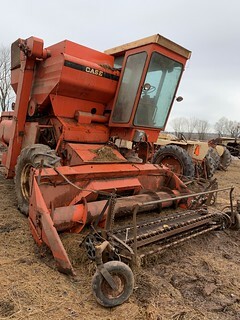 Farm Auction-Mason, WI | Lulich Auction & Realty, INC.
**TOWN OF MASON BOARD has agreed to waive 5 ton weight limit on Lund Rd. on Friday, April 19th, 2019 FROM SALE EAST TO HWY 63 ONLY ! ALL OTHER RDS REMAIN AT 5 TON GROSS VEHICLE WEIGHT! Live Auction onsite- Absentee bidding will be available on some items. Call with any questions.